Fanatik Productions is holding a casting all for their feature film Tattoo. Casting calls are by appointment only on both Thursday, July 7th and Friday, July 8th from 6:30 to 8:30 and also Saturday, July 9th from 10 am to 7 pm at Dutch Square Mall in Suite 200. To schedule an appointment contact Thaddeus Jones Jr. at fanatikproductions@gmail.com. Description of film: Perry tries hard, but as hard as he works and tries to excel he is still the underdog. His most recent attempt to attain a new position was undercut by his best friend, and now his fiancé wants to leave him and their predictable life of mediocrity. Perry now at the lowest point he has ever been in his life attempts to drown his sorrows in a bottle of booze, and meets Amon a tattoo artist that offers Perry a gift. A gift of a mystical voodoo tattoo, that will not only change Perry’s life, but the lives of all those that surround him. Perry not one to take risk decides to accept the gift after all what else does he have to lose. Except this is no ordinary tattoo, and his first may be his last. When a loser-advertising executive receives a voodoo powered tattoo, he must feed its thirst to take revenge on those that have betrayed him. PERRY MORTION – a 30 something, people pleasing, African American male with a witty since of humor. Seen as an underdog, yet ambitious for success. JANET LEIGH – a beautiful, smart recent MBA grad prepares lunch for her widowed father. MARTIN LEIGH – a retired Marine widowed. MR. WETZER – Owner of Maxwell and associates consulting firm. MARY BISHOP – late 40’s dresses in a low cut top she is the definition of a cougar. My name is Andrew Gajadhar and I’m the Executive Director of CFN. On behalf of myself and my distinguished colleagues of the board, we would just like to extend great appreciation for everyone’s support of this organization. Tonight we had our first of many meetings that was held at Goats in Five Points, and the turnout was phenomenal! There were just over 50 people in attendance. The guest speaker was Dan Rogers of the South Carolina Film Commission. 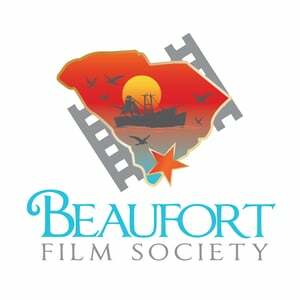 It was opened with an introduction of the board members, followed by Dan Rogers speaking about the commission and what its role is in the film industry for South Carolina. People were very intrigued with the newfound information that he was able to educate about. It also led to some very insightful questions that were able to be directly answered from Dan himself. The floor was then opened for all attendees to promote their current projects and get direct feedback from others about potential collaborations and help on their projects as well. This meeting was a great way to introduce this new organization that was created for the people of our community. We would like to take this time out to thank all of the people in attendance for your support, Goats in Five Points for allowing us to host in their beautiful venue, Mr. Dan Rogers of the Film Commission for being a wonderful guest speaker, and to all of the community for believing in yourselves and striving to make it to the next level in your careers. This is the reason why Carolina Film Network was created. You, the community, are our inspiration that drives us to do all that we can in making those steps attainable through community networking and encouragement. So, thank you so much. We look forward to growing and fellowshipping together with you all. Over 50 filmmakers – actors, producers, even sound technicians showed up to network at CFN’s first event. Christopher Bickel took a moment to present his first feature film, The Theta Girl. Denise McGill discusses The Gullah Project a documentary film about the Gullah/Geechee people of St. Helena. Marcus McCall discusses the South Carolina Film Institute a nonprofit organization located in Columbia, SC. Actress Deidre Kalyn showing support and engaging with filmmakers. Carolina Film Network’s Executive Director Andrew Gajadhar closing out the event. Carolina Film Network’s board members. From left: Andrew Gajadhar, Tommy Faircloth, Michael Tolbert, Faith Creech, Morgan Monnig, and Johnny Campbell.